School leaders deal with a wide variety of competing tasks throughout each day. Add in long meetings and frequent interruptions demanding immediate response and it gets very difficult to perform the most important leadership role: improving teaching and learning at your school. In this webinar, CEL Project Director Lisa Rooney shares her experiences from working side-by-side with school leaders from across the country and present strategies for finding the time to accomplish the tasks that will most impact instructional quality and student achievement. "4 Dimensions of Instructional Leadership" and other logos/identifiers are trademarks of the University of Washington Center for Educational Leadership. 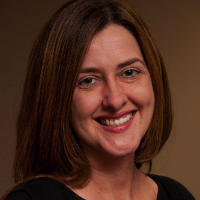 As a project director, Lisa Rooney provides instructional leadership support and development for Center for Educational Leadership district partnerships. She has fifteen years of public school experience, as an elementary teacher, teacher leader, literacy coach, and administrator. In 2005, she was part of the founding team of Gabriella Charter School, an award-winning K-8 school, in Los Angeles. Lisa is passionate about working to end the achievement and opportunity gaps that exist in education.